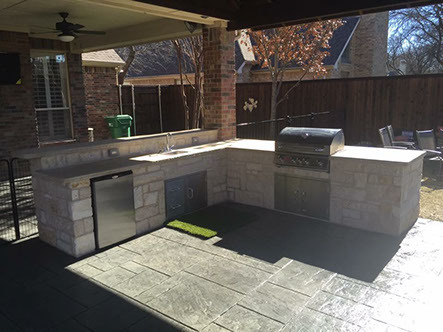 Above & Beyond Landscape offers Outdoor Kitchen construction services to residents located in Dallas/Ft. 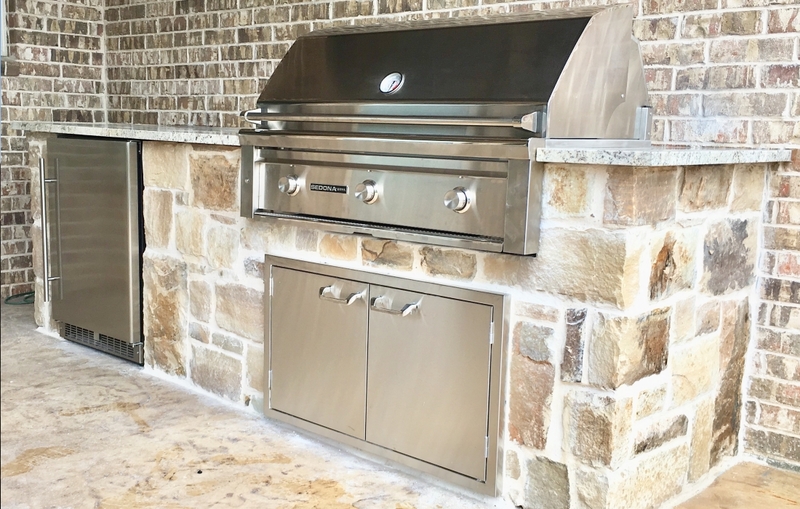 Worth and surrounding areas. 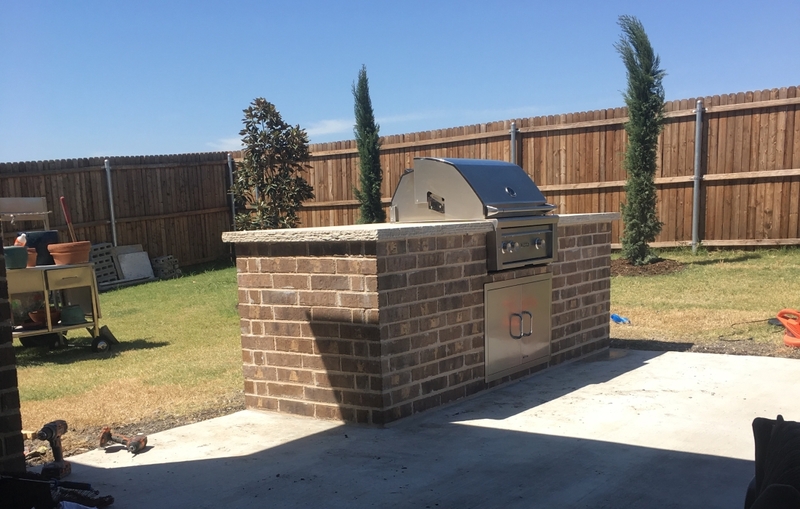 Take your leisure time at home to the next level; spending time outdoors in the relaxing and refreshing surroundings of your own garden paradise. 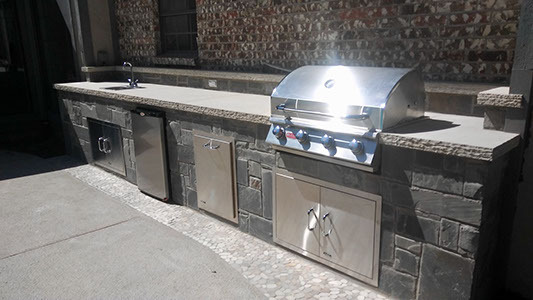 We provide custom built Outdoor Kitchens as well as installation services for prefabricated Outdoor Kitchen kits; along with the required water, electricity, and gas connections. 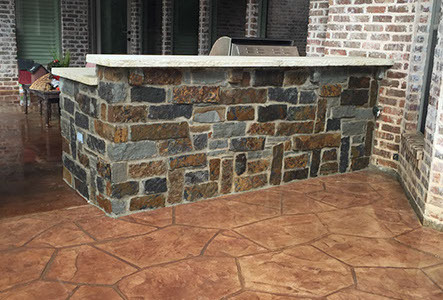 Above & Beyond Landscape creates its custom constructions with the materials and techniques that will cause your investment to last for generations to come. 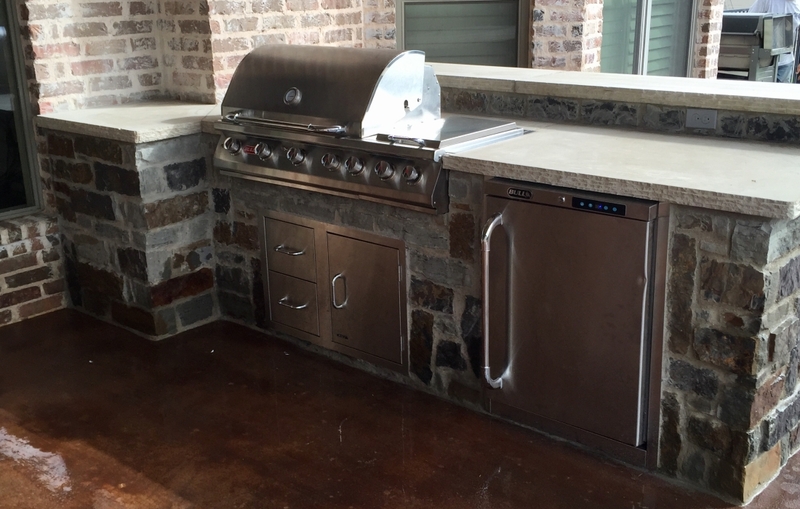 Additionally, we offer prefabricated Outdoor Kitchen installation in order to provide more cost-saving options to our customers.